OLD PARKED CARS. 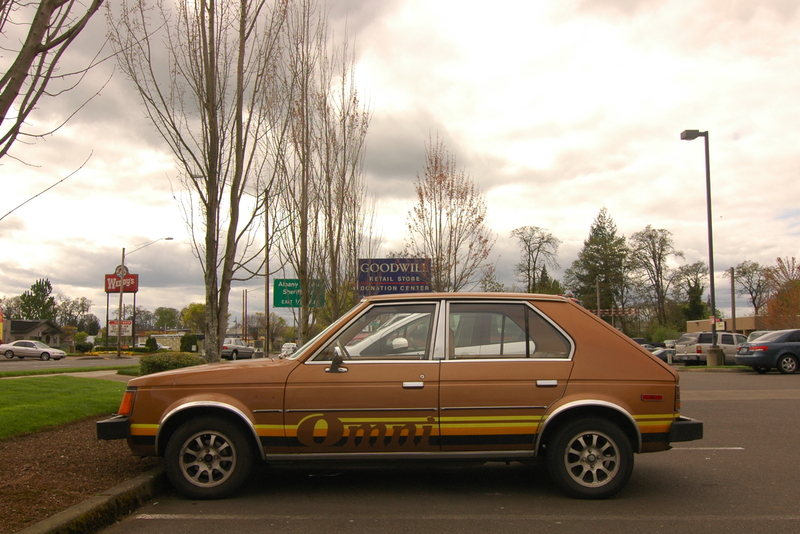 : 1978 Dodge Omni. Looks more like a troop transport vehicle of the German army than a US-made family hatchback. Who cares...they are good on gas. 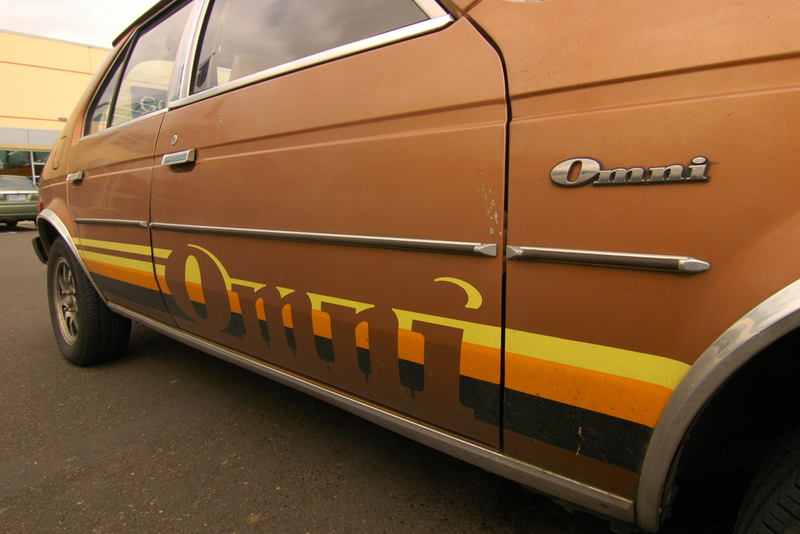 -> Mikael: No wonder, it was originally Simca Horizon (developed by Simca for Chrysler Europe), then Peugeot bought Simca and it transformed to Talbot Horizon (manufactured in Finland too as such, by license from Chrysler). 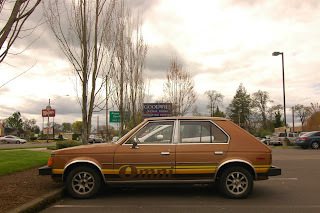 Then Chrysler noticed they need a small car in US and started to manufacture it there too, as Omni. 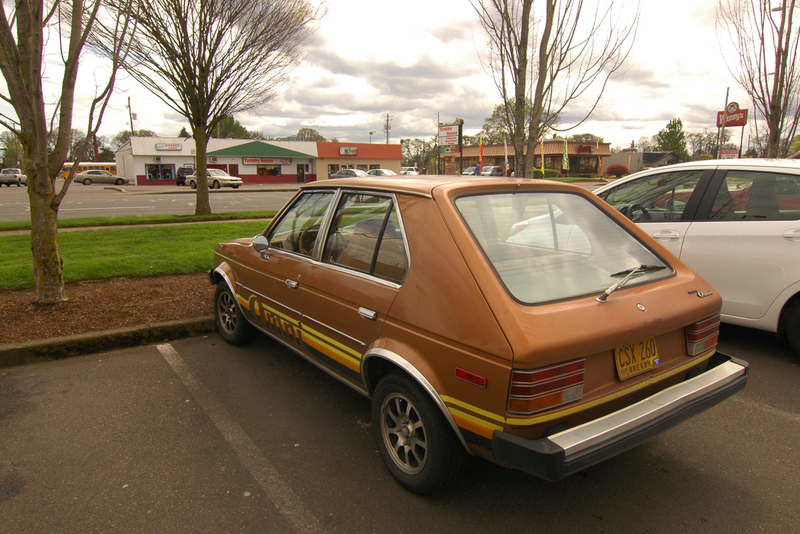 Crappy car but love the color w/ the decals. So it is a wash in my book. 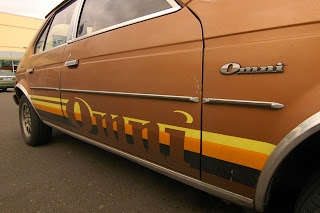 Love that bronze color with the "OMNI" decals...so late 70's-early 80's it hurts. 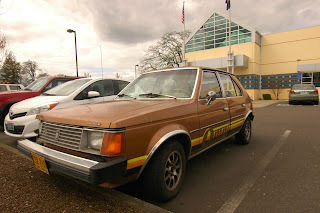 has the same face as the glc wagon three posts up. god, how i want to believe this is still driven by the thrifty, silver-haired original owner, who just drive it to the grocery store, church and goodwill. are the shiny flares aftermarket? the "albany" sign in the background helped me understand how i could've missed it.